Manufacturer & Supplier of Tee Grid System for Ceiling. 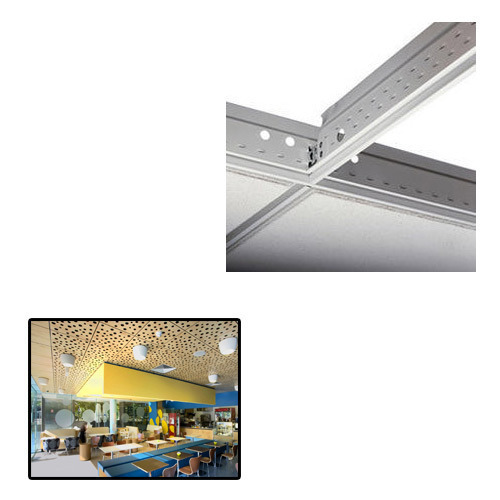 Our product range also comprises of PVC Laminated Gypsum Ceiling Tiles, Tee Grid System and Mineral Fibre Ceilings. We are offering a wide range of Tee Grid System for Ceiling. In production process highly well-informed personnel only use up-to-date techniques and quality assured basic material while manufacturing procedure of this product. Furthermore, the offered product is precisely examined on diverse quality restrictions to authorize its supreme quality in association with set industrial norms. Looking for “Tee Grid System for Ceiling”?